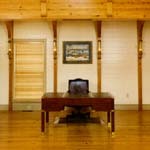 After working with wood for over 30 years, we have seen a little bit of everything. But certain projects stand out as being special for a variety of reasons. This gallery is a place to show off a few of these special projects, and to showcase James abilities. We thank all of the homeowners that gave their permission, for us to photograph their homes. Please click on the thumbnail images to read about each project in detail and see additional photographs. 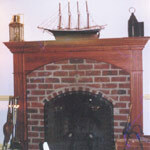 The owner of this house wanted to create a feeling of being in a ship galley for this room. Check out how we did our homework and built the customer the room of his dreams. 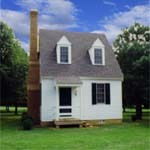 A big story about a little house. See how Harvey Millwork helped create a miniture masterpiece in a one room house. 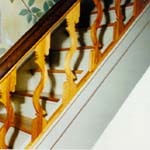 Working with existing woodwork is tricky, especially in older homes. See how Harvey Millwork gave this house a facelift while respecting the historic nature of the home. Sometimes only the best will do. 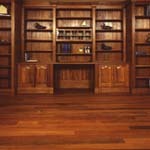 See how Harvey Millwork designed and built this man's room to taste using the finest in Brazilian Cherry.